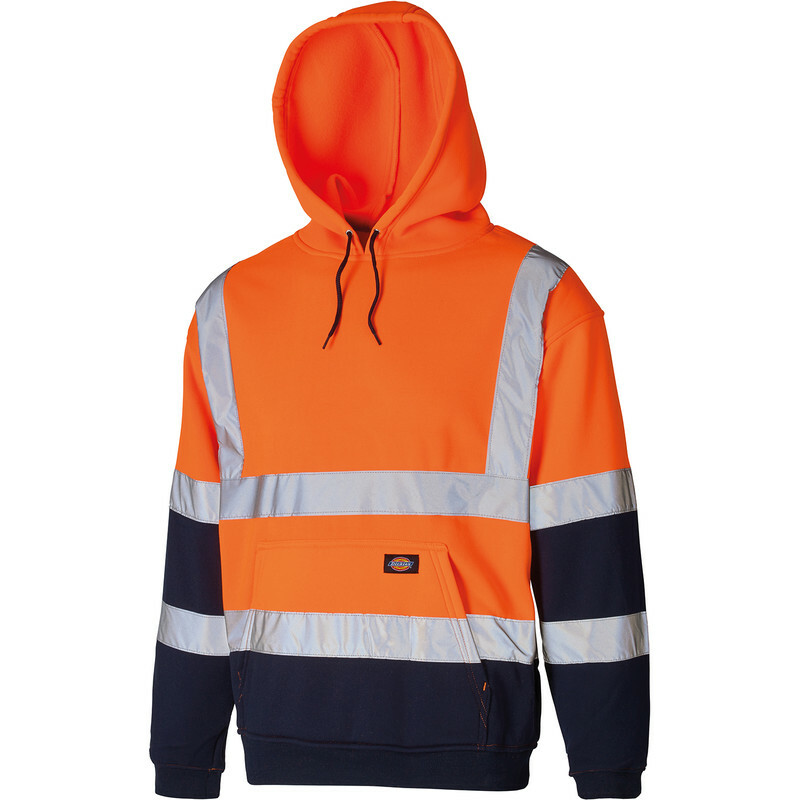 Dickies Two Tone High Vis Hoodie Orange / Navy Small is rated 2.0 out of 5 by 1. Rated 2 out of 5 by Wullie mcc from Made for a fat person!! I purchased a large and the length of the sleeves and jumper were fine but I would have fitted better if I had a few more pounds on me!! I am 12.5st and 6ft so couldn’t go for a smaller size.